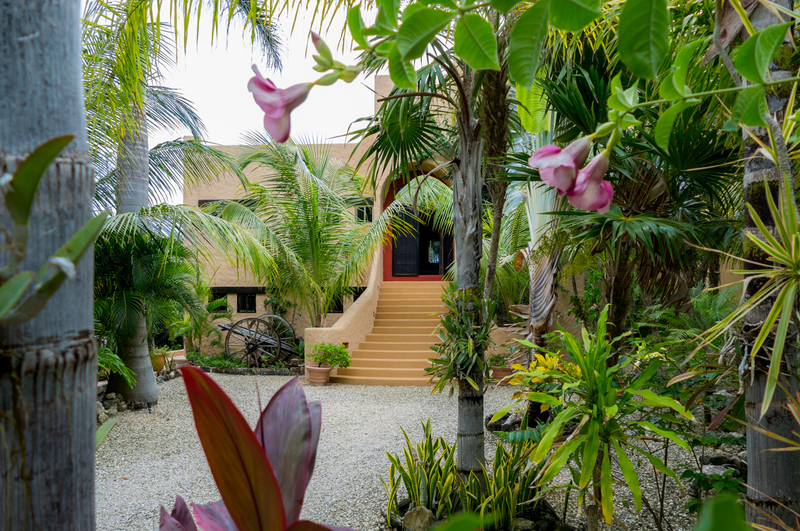 Set your sights on a perfect Caribbean holiday at Casa Alma De La Vida(Soul of Life). 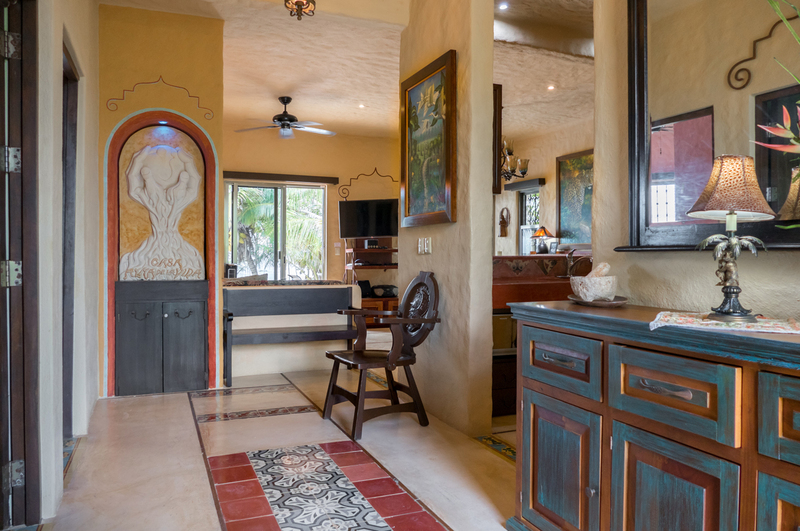 This magnificent Adobe style NEWLY CONSTRUCTED ocean front villa combines the rustic charm of a classic Hacienda with all the touches of first class luxury. 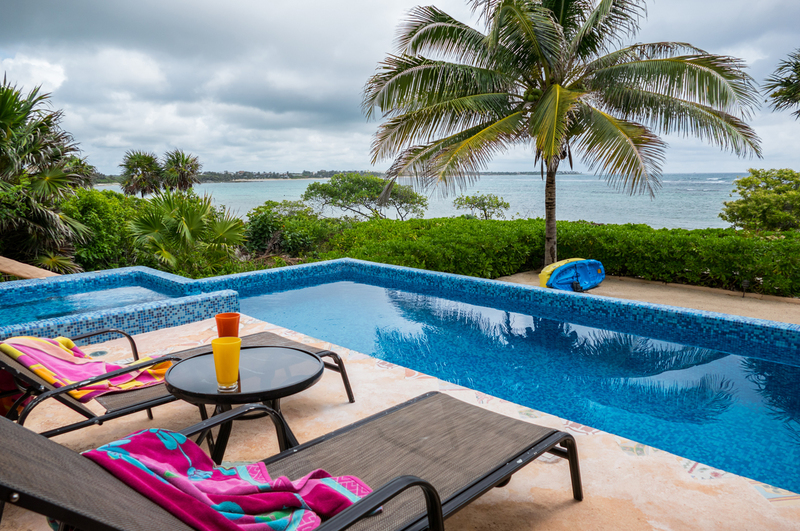 Situated in Punta Sur (South Point) Akumal, the Riviera Maya's newest beachfront community, Alma De La Vida has the most stunning views of the bay at South Akumal north to Puerto Aventuras. 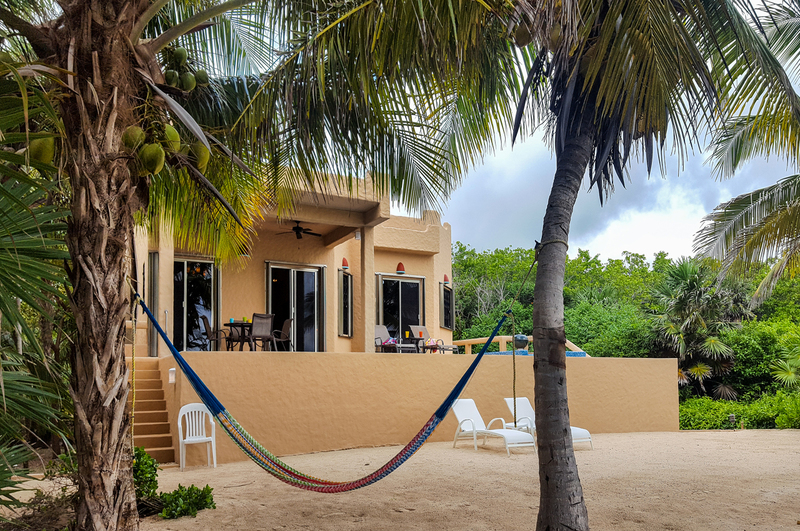 Casa Alma de la Vida is conveniently located just 20mins from Tulum, 7mins from Akumal and 30 minutes from Playa del Carman, by car! 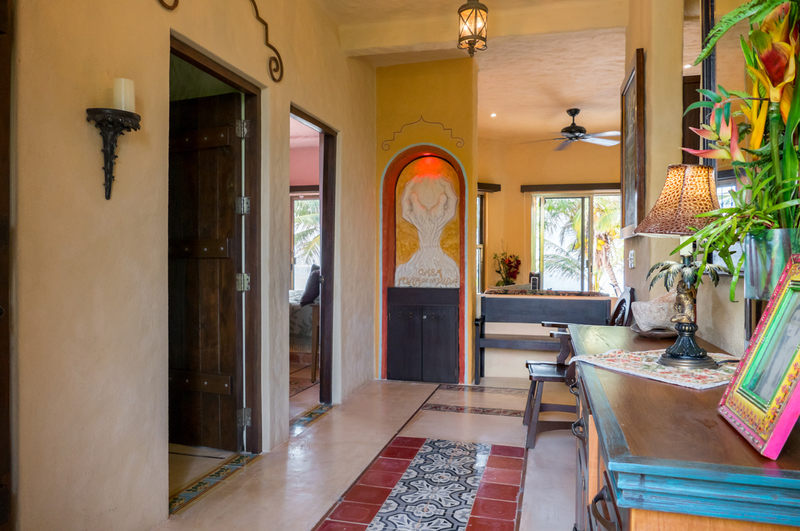 Enter Casa Alma De La Vida after a walk up the grand front staircase and experience the warm Caribbean breeze as it flows through the living room leading you right out to the pool. 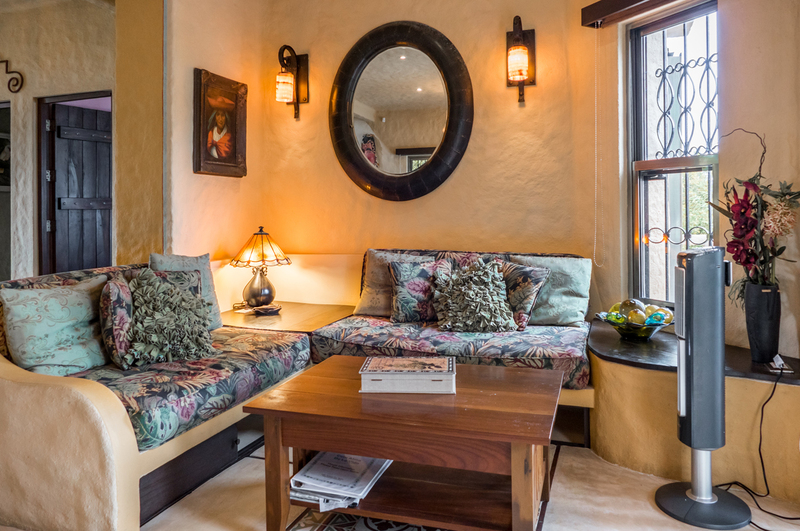 Don’t forget to look down and take in the custom inlaid antique tile and wood flooring. 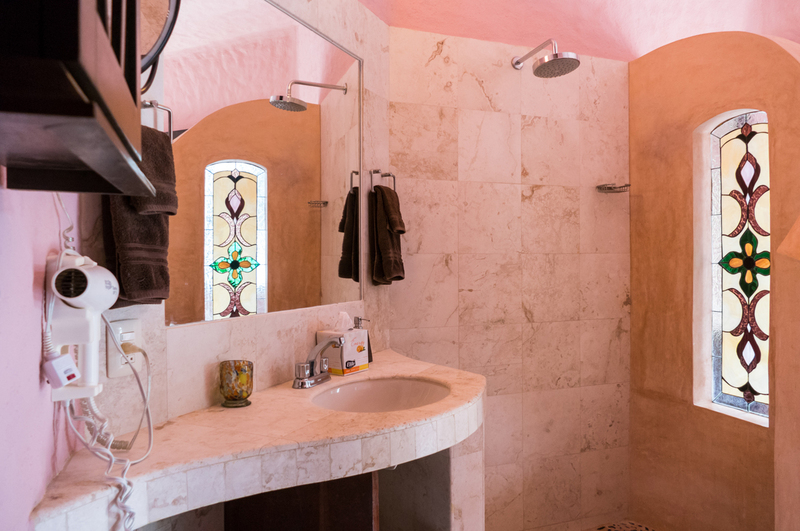 Throughout this wonderful villa are touches of old Mexico and the Yucatan with all the modern conveniences of home. 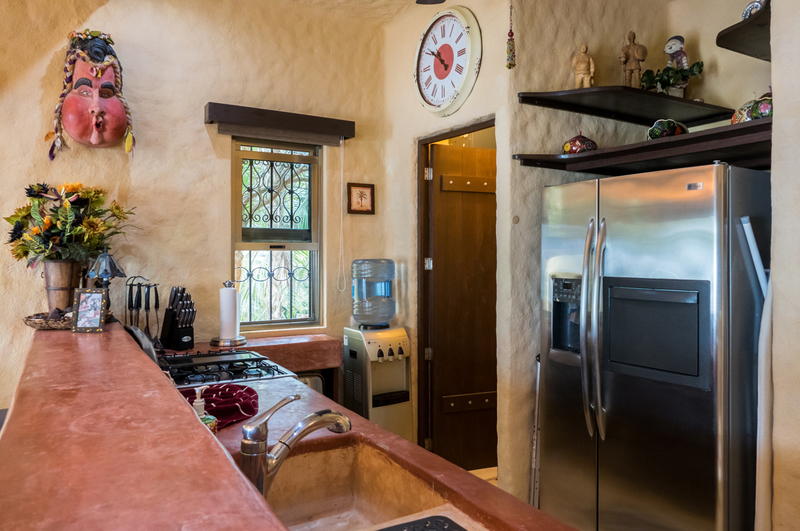 The kitchen, with views of the turquoise waters has everything you need to prepare a fabulous meal and keep the margaritas cold. 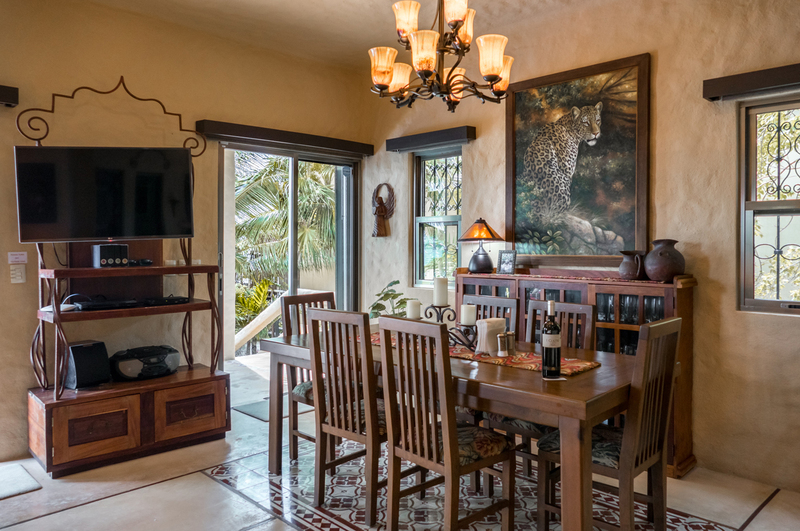 Feast your eyes on the Jaguar portrait over the cozy dining room and living area. Feel at home in the living room and enjoy the Bose stereo entertainment system filling the air with the sweet sound of life. 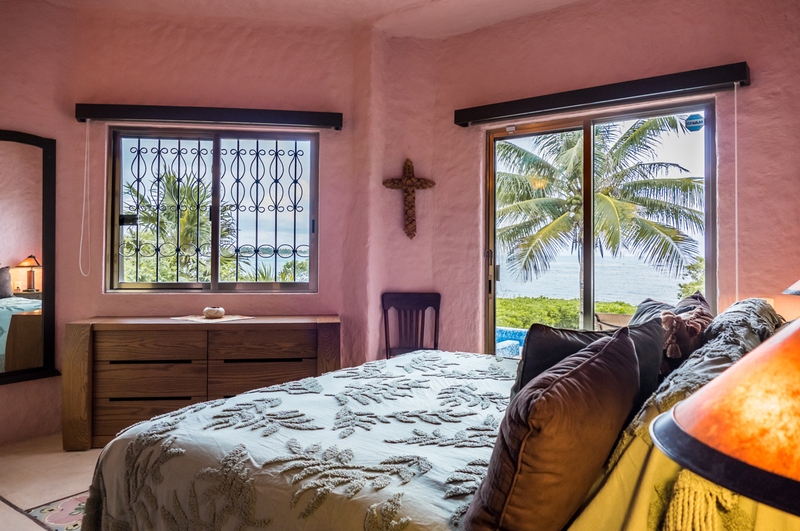 Two master suites each with a king bed and views of the Caribbean will allow even the most troubled sleeper to fall into the rhythms of the gentle waves. 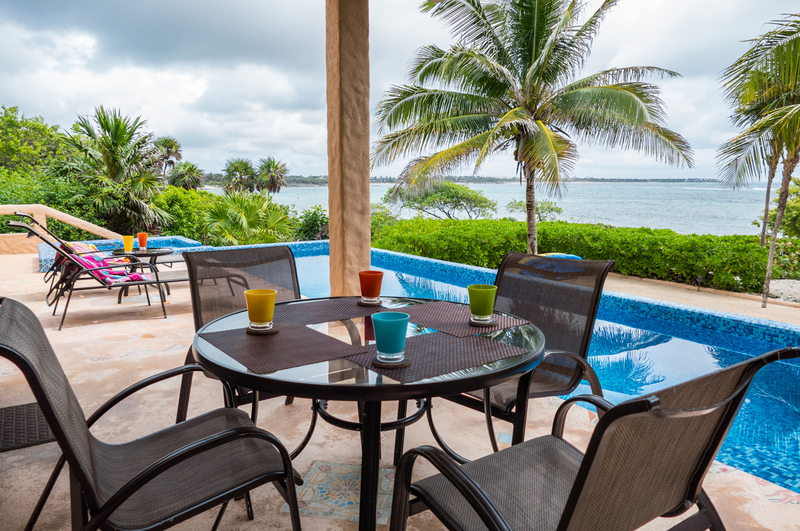 Wake up and have breakfast on the ample veranda while mapping out your next snorkeling adventure in the beautiful bay just in front. 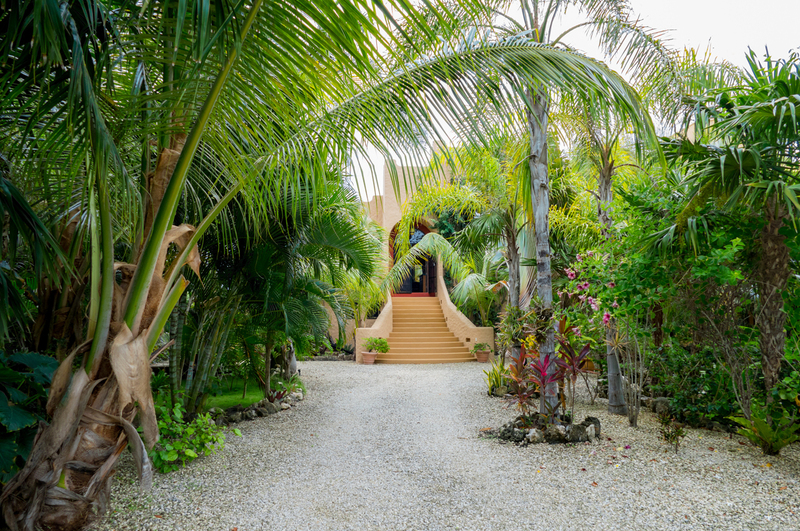 Outdoor living is what it is all about at this villa. 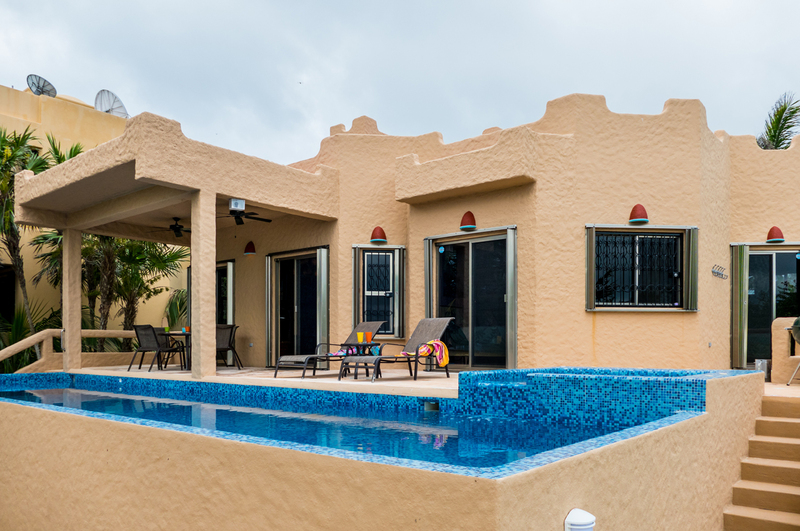 The 10 X 35 pool with connecting Jacuzzi is 6 feet deep and will satisfy the kid in you as well as gentle massage your cares away. 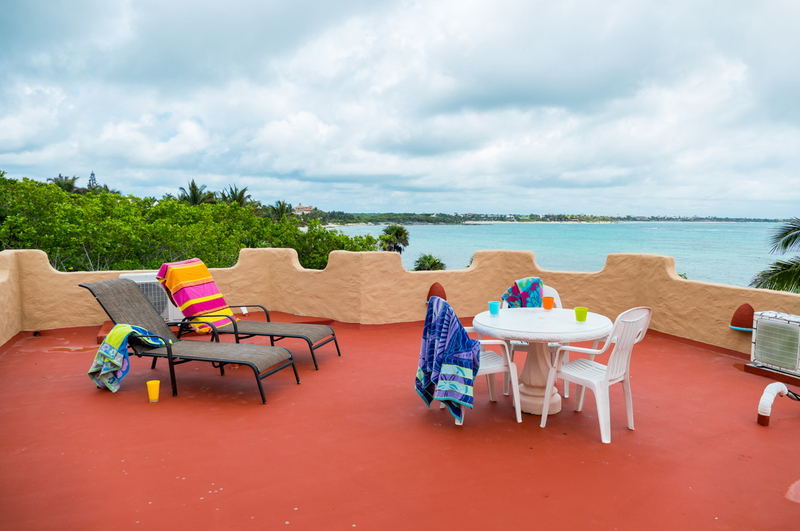 If dinner with a view is what you desire, head up to the vast rooftop deck and enjoy the warm glowing lights of Akumal and Cozumel in the distance. 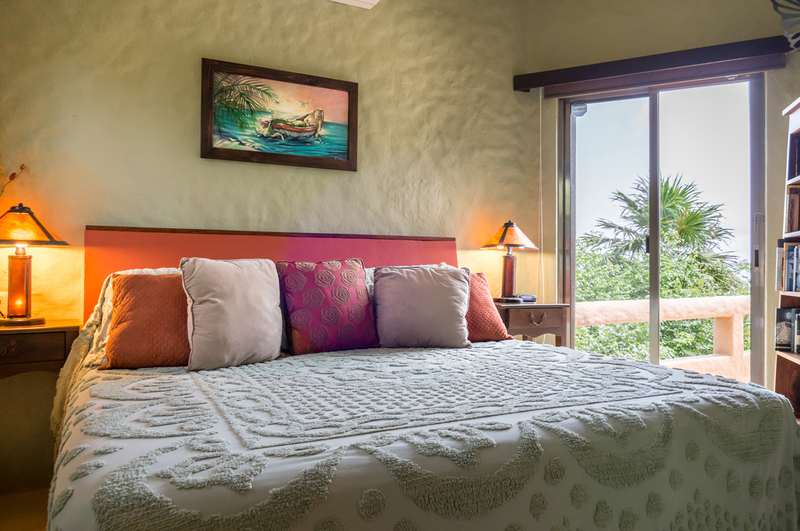 The sky is literally the limit as you are enveloped by the tropical breezes and distant stars of Casa Alma De La Vida. 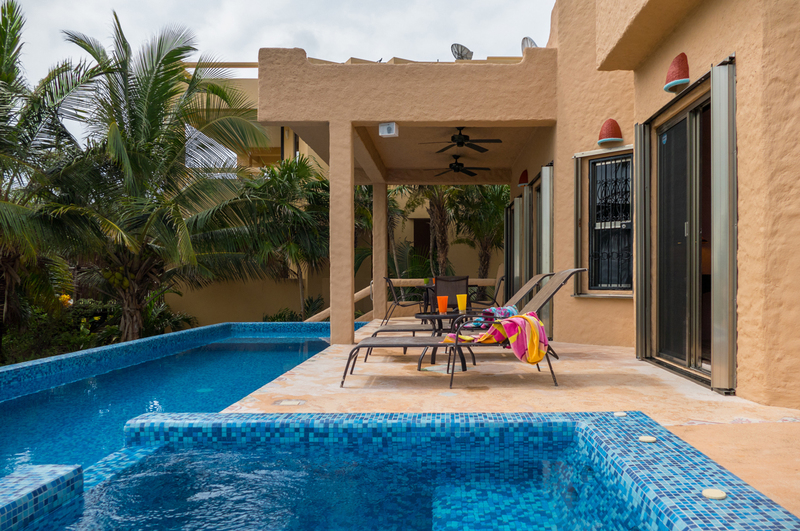 Villa Alma de La Vida is a well built, beautifully furnished home well located with tons of privacy yet close enough to not feel isolated. 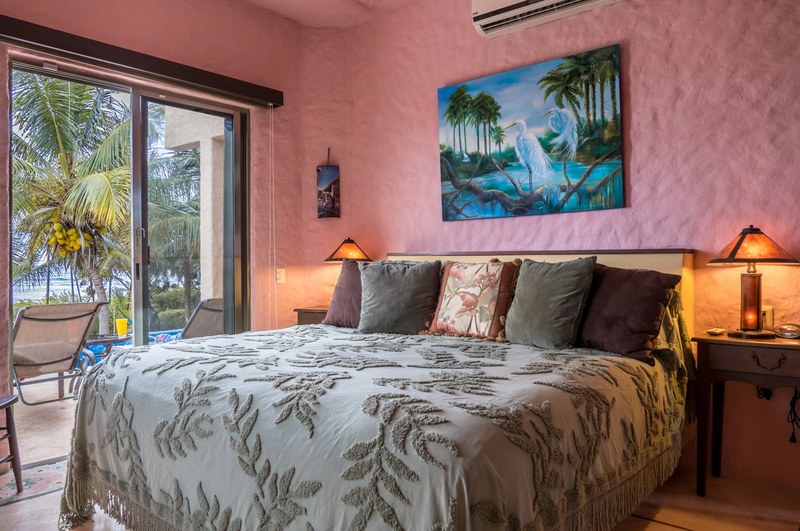 Beautiful water views from every window and a well shaded lanai/patio for outside dining or drinks. 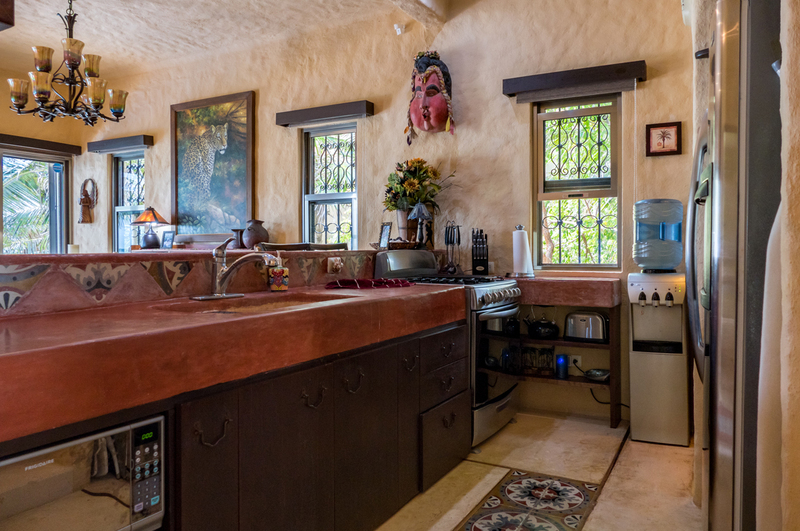 Gourmet style fully equipped kitchen. 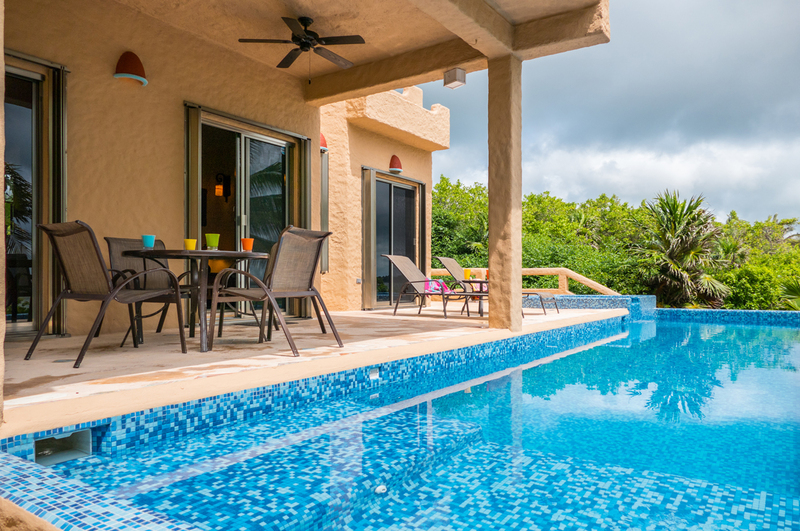 Daily housekeeping, pool maintenance and yard duties handled by a wonderful couple that enhance your stay by keeping things in place and always clean. 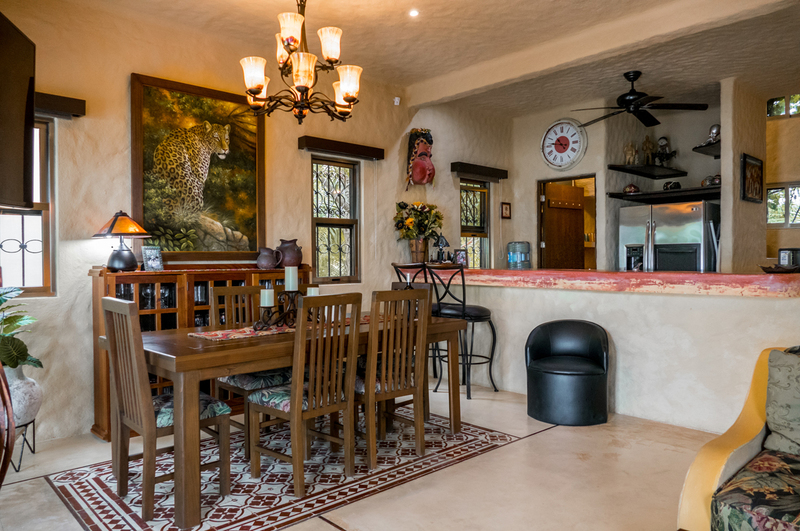 We look forward to another chance to enjoy this home as we will certainly return. 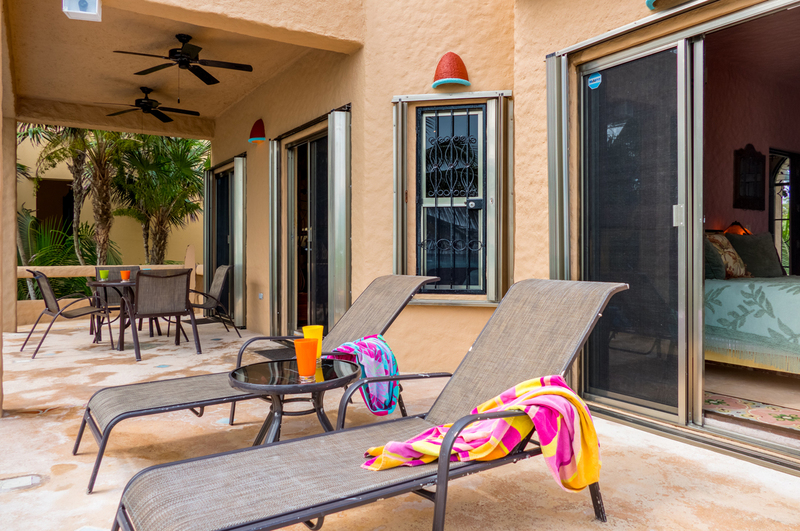 It has location, amenities and is very safe. 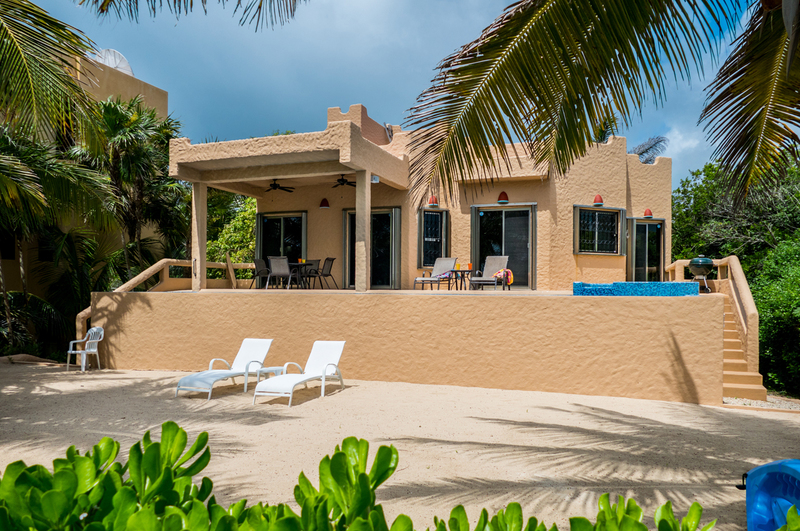 It was so nice to find a property that was oceanfront for 2-4 people- It was just the right size for us! 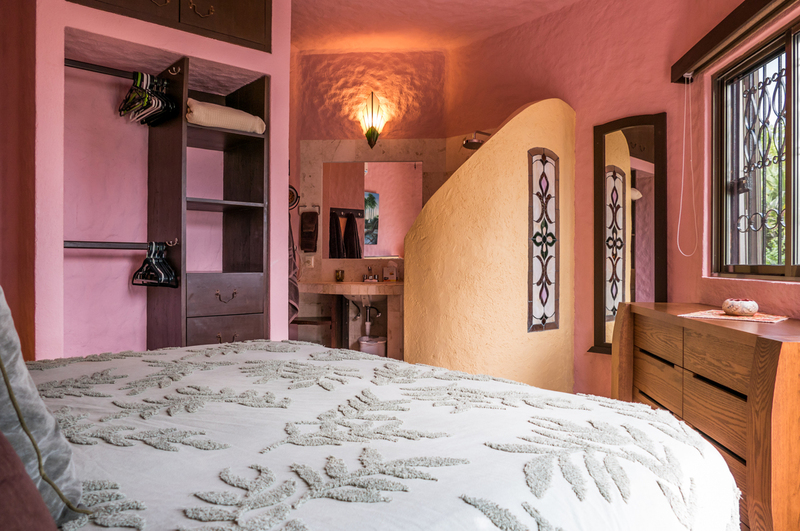 The house is comfortable and clean, with everything you need. 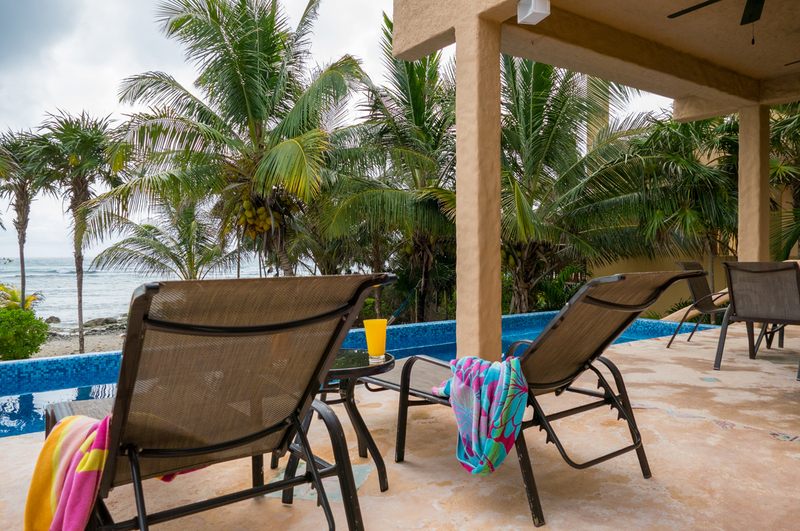 The patio and pool is where we spent most of our time, and the view is simply stunning. 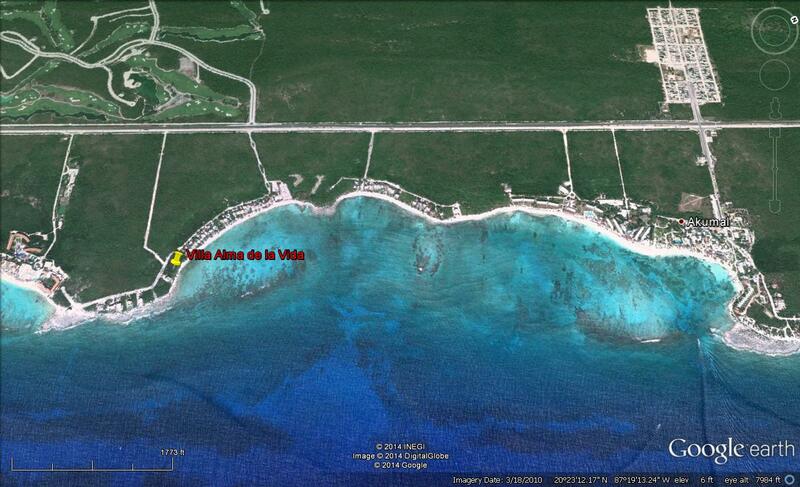 With no homes to the left of us, and no one home to the right, it was very private. 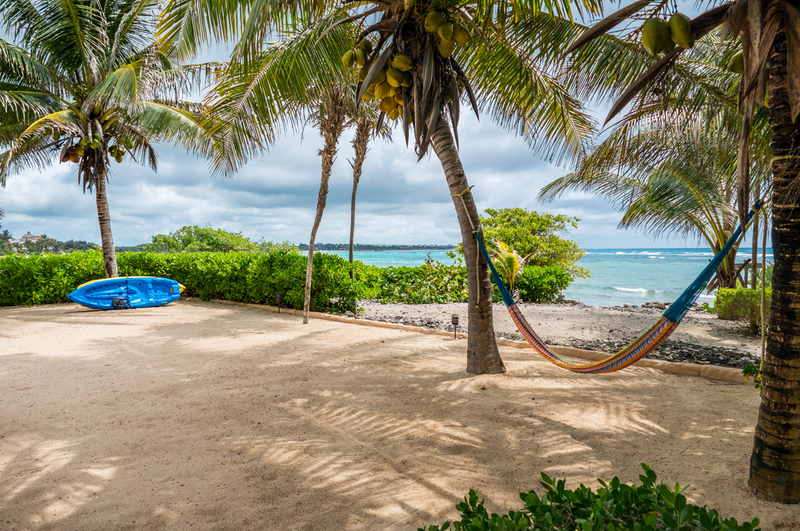 We love the Akumal area, and would certainly revisit this property. 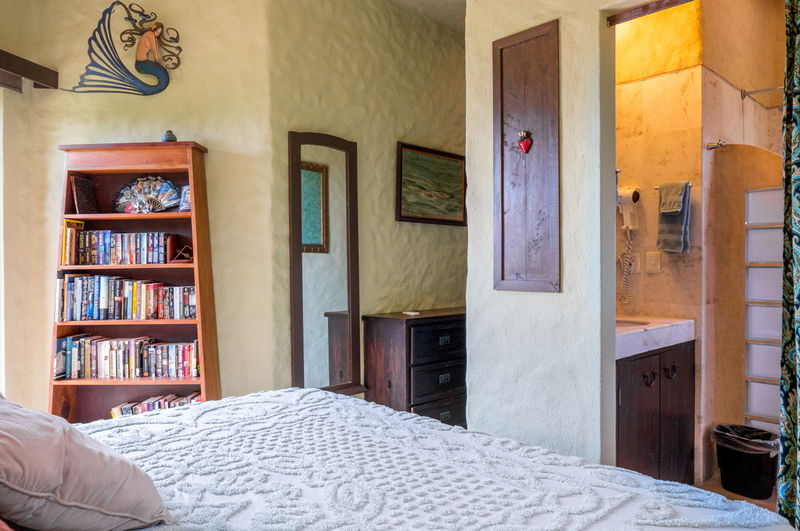 By the way-- the housekeeper makes a delicious chile relleno con pollo! 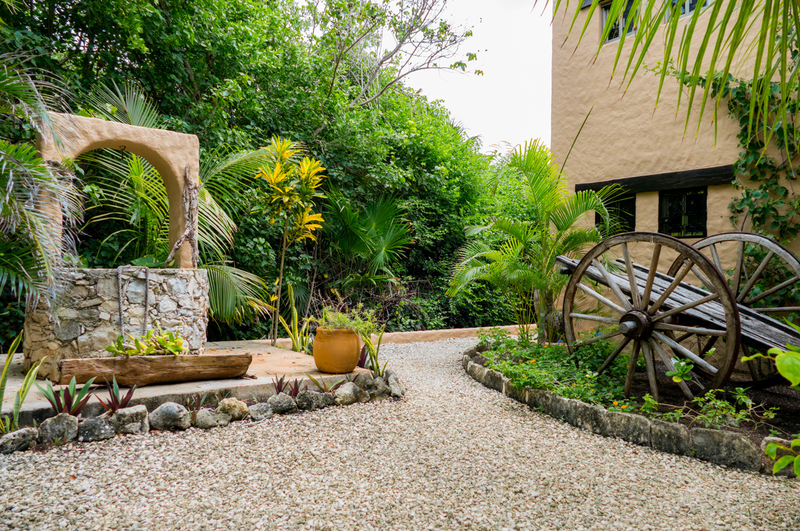 We just had the most AMAZING vacation at Casa Alma. 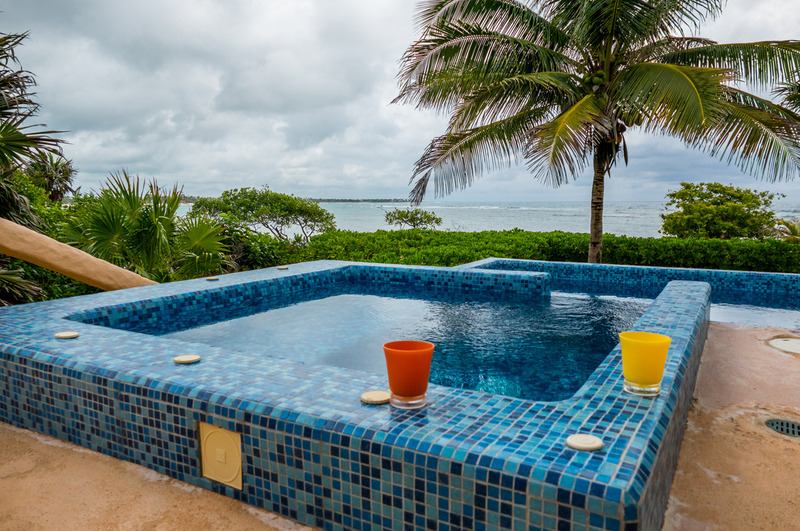 Rhett from Akumal Villas is totally amazing and hires great staff and will make sure you have everything you need. 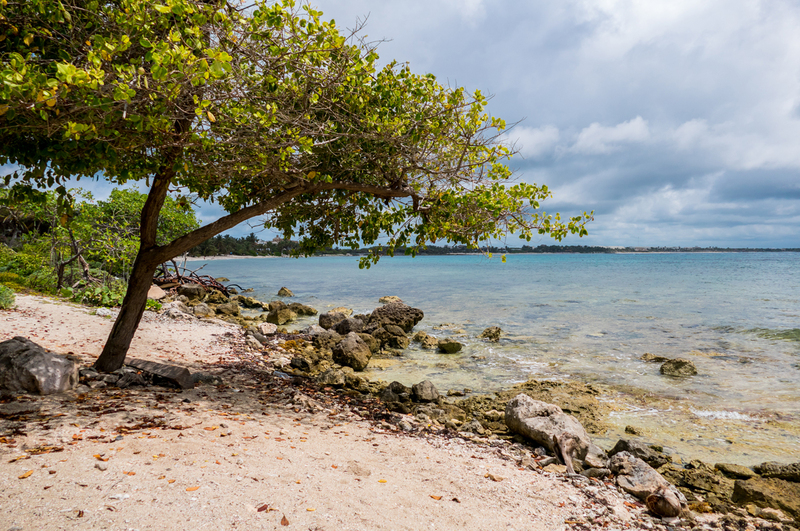 The area is just fabulous and the local people are very friendly. We would go back in a nano second. 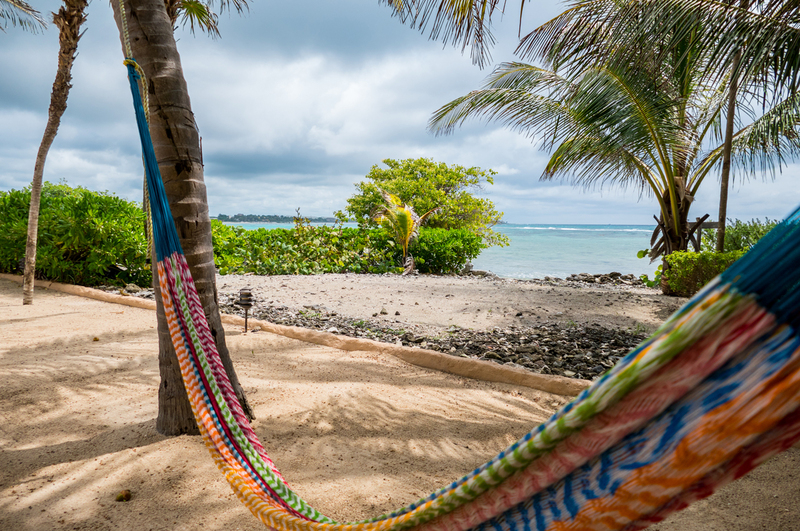 Thanks Akumal Villas for a great vacation!